President Rekowski gave his report to the annual Synod on the opening morning. 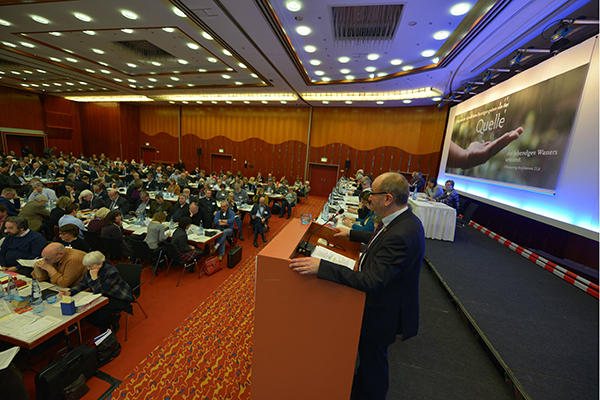 The senior representative of the Rhineland Church emphasised very clearly that pastoral care is one of the most important areas of church work: “This is where we sustain people in widely differing circumstances of life. Whether it is at the time of establishing a family, or while studying, in everyday care within the community, during a life-crisis, in the case of a death, after an accident, in hospital, during forensic tests, in prison, working with the police or the army, in schools or hospices, etc., people are given holistic support relating to their own lives. This work constantly goes on out of the public eye and for this reason this area of our activity is much less often noticed than others”. “I find it disconcerting, when the State Government of North-Rhine Westphalia reckons that under the label of ‘Release Package 1 – a law for the dismantling of unnecessary and burdensome provisions in the State of North-Rhine Westphalia’ – they also want to enable an extension of shop opening hours on Sundays. The effect of this is to turn what is in fact a liberating cultural asset such as Sunday into a burden which needs to be eliminated, by arbitrarily re-labelling it “. President Rakowski thus made very clear that the plans of the North-Rhine Westphalian CDU/FDP government were meeting with opposition from the Evangelical Church in the Rhineland. This criticism of the plans of the NRW coalition government is being accompanied by a campaign of the Evangelical Church in the Rhineland using social media: #unserSonntag ist uns #heilig (our Sunday is sacred for us). Sunday is time that is given to us, time for other things, time with other people. Christians use social media to describe the ways they use this time together, this time for being us. They show their faces and say why Sunday is “sacred” for them. Finally, President Rokowski turned in his report to one of the main topics for this year’s meeting - agreeing a theological positioning for encounter with Muslims. “Knowing all too well that the history of mission is not just a case of telling stories of blessing, but also stories of guilt, I still have a positive perception and interpretation of the concept of mission. This is helped by taking a clear position on the ways in which mission is lived out and which forms of mission should be rejected, regardless of the groups they may be aimed at. (…) A church that is oriented towards the concept of being a ‘missionary church of the people’ needs to have a clear relationship to mission. With a holistic understanding of mission we can bring into view precisely those people who are all too often lost from sight” he affirmed.